Misato Mochizuki. Photo by Jeremie Souteyrat. Saturday, February 28 at 2:00 p.m.
For its 41st season, Music From Japan is introducing a new Artist Residence Program to facilitate dialogue between composers, critics, and music scholars from the US and Japan. This year, composer Misato Mochizuki and musicologist Yuji Numano are in New York to participate in a series of lectures, seminars, and forums with their American counterparts, including critic Nancy Malitz and composers Richard Teitelbaum and Carl Stone. MFJ will also present a weekend of Japanese contemporary music, including a world premieres of a piece commissioned by Music From Japan. 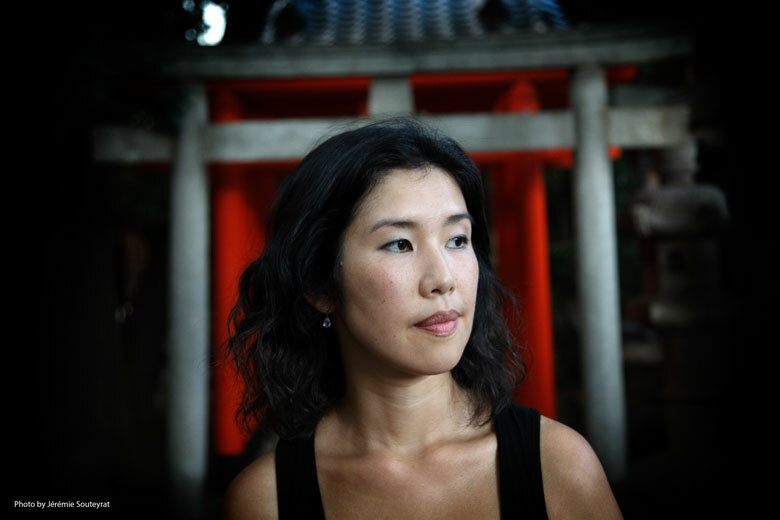 The Works of Misato Mochizuki will feature several of the composer’s pieces, performed by the Music From Japan Chamber Ensemble. The concert will be preceded by a lecture by Numano on Japanese composition in the current century. The Sunday concert, Japanese Composers in the 21st Century, will be curated by Numano, who will present a variety of recent music by Japanese composers including the world premiere of a Music From Japan-commissioned piece by Hiroyuki Yamamoto. This will provide an opportunity for New Yorkers to hear compositions rarely, if ever, performed in the US. To purchase tickets, please visit the event’s brownpapertickets site.